That sounds like great fun! Your post reminds me of one of our teachers here who loses her voice each year. She has the students design wanted posters asking if anyone has seen (or heard) her voice. I am continually amazed at all the creative ventures you are involved in! Tech Supreme, Teacher, Band Dude, Quidditch Coach among other things. I loved this slice–and yes, if I see your voice–I’ll send it home to you. 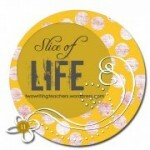 BYW, it’s been a delight slicing with you again–I enjoyed all the comments you put on my posts. Thanks very much! I’ve enjoyed your posts as well. Awesome–I have no musical talent, but am a good listener. 🙂 I hope your voice comes back soon and that your lead vocalist is back with you as you continue to practice. Love your ending. Bravo on the lead singer.